The brand new Rocky Mountain Instinct BC Edition. Quite a mouthful. Quite the bike. Rocky Mountain Cycles were one of the big companies at the beginning of mountain bikes, they helped shape our modern sport in so many ways. Whether it was Wade Simmons riding RM9s off the roofs of houses or jumping over monster trucks, they were always pushing the envelope. Even still they continue at the forefront of our industry and arguably the forefront of modern mountain biking is long travel 29 inch wheeled trail monsters. These bikes would have been inconceivable or a boat like novelty by many just only a few years ago. These days more and more brands are getting on the big wheel, big bike setup. 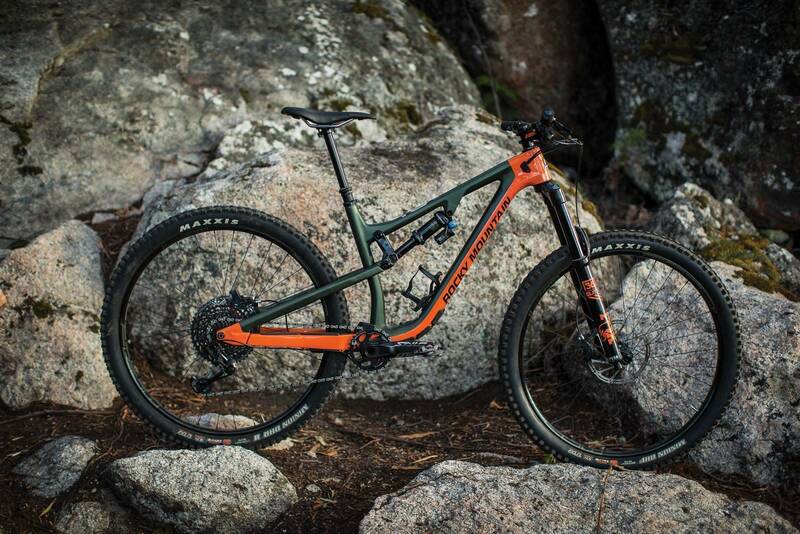 The brand new Rocky Mountain Instinct BC Edition is quite a mouthful but it’s also quite the bike. With 155mm of rear wheeled travel and 160mm travel out front it’s up there as one of the longest legged 29er production bikes available and I couldn’t wait to see what Rocky Mountain had done with it. Both of Rocky Mountain’s trail bikes were updated last year, with the Altitude and the Instinct getting a bit of a spruce up. Aesthetics wise they look extremely similar with amazing paintwork, clean carbon lines and mechanic friendly cable ports. 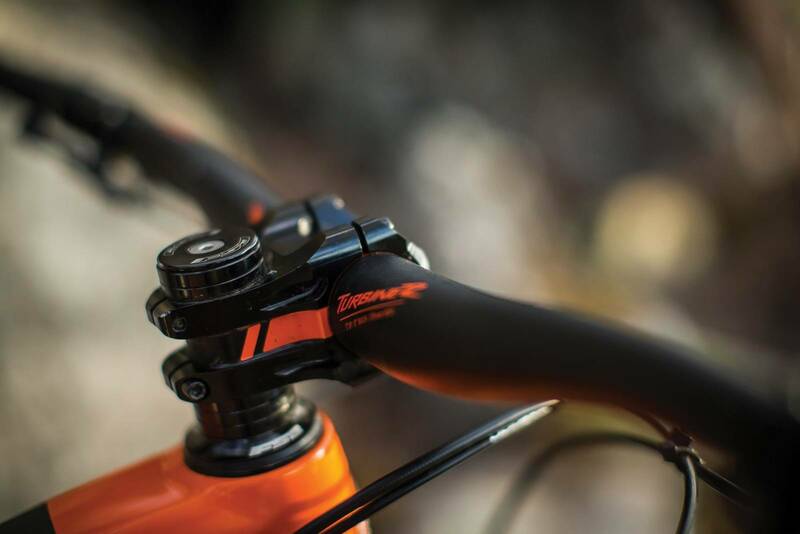 The Instinct also joined the Altitude and got upgraded to bearings over bushings in the swing arm and maintained the Ride-9 adjustability system. This however did not make it to the BC Edition version of the Instinct, with Rocky opting for a simpler link to fit the longer stroke shock and extra 15mm of travel in. This did not seem like a huge issue for me as I tend to put everything in the slackest position and never touch it again anyway. With a 65.9 degree head angle there are not many people who would be left wanting more. 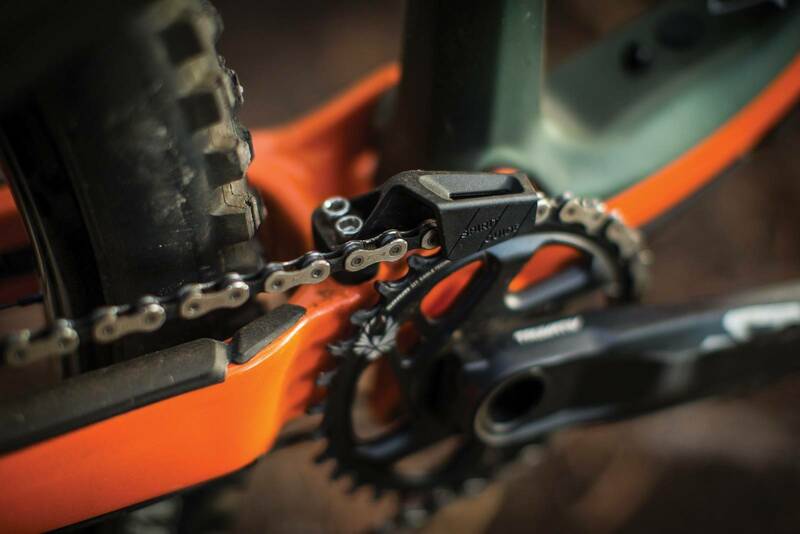 Spec wise it’s kept pretty simple, and somewhat budget with SRAM GX Eagle 12-speed and Fox Performance Elite suspension. This helps to bring the complete bike price down to compete with the likes of Specialized and Trek. Everyone knows producing new carbon moulds and all the R&D work that goes into a new frame gets expensive. 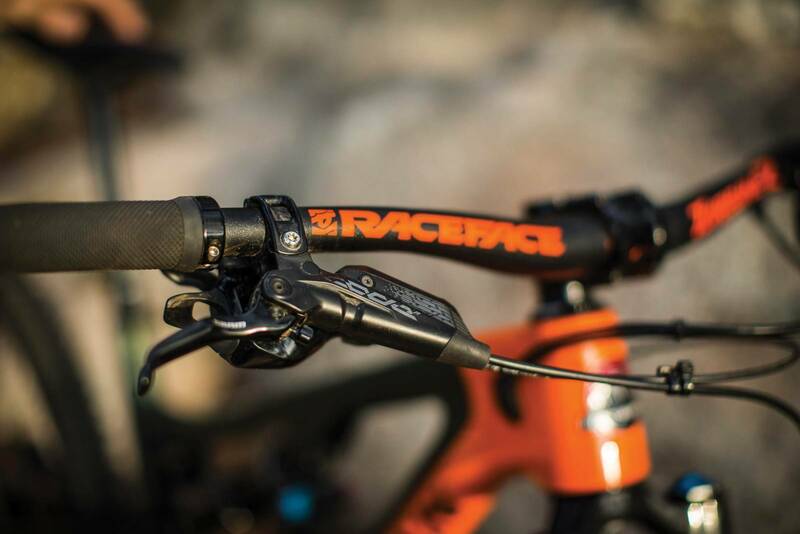 It was nice to see Rocky upgrade to the new SRAM Code R on the BC edition, with the extra 15mm of travel usually meaning burlier terrain and steeper slopes, the new dual piston brake will come in handy. 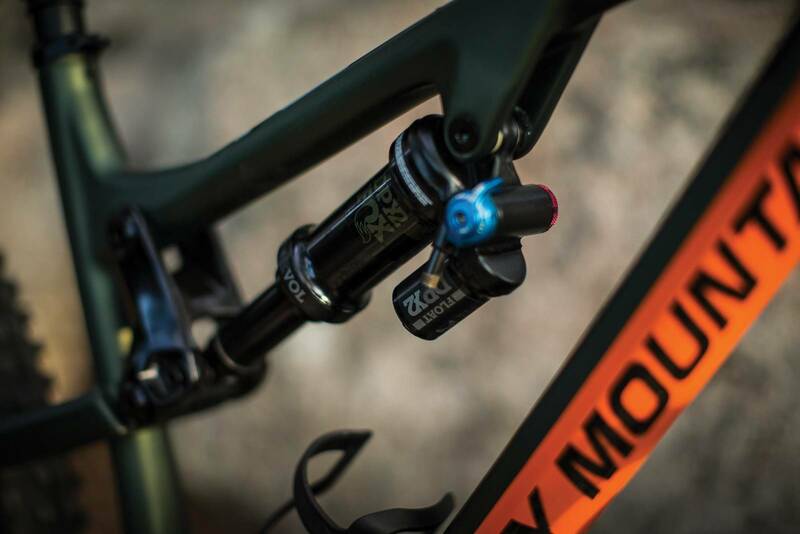 The BC Edition of the Instinct also sees wider bars, wider tyres and a Fox Float DPX2 rear shock. All making it a much more aggressive choice over the regular Instinct. Rocky have been smart about the wheel spec with a quality DT Swiss 370 rear hub where it matters, and a generic unbranded hub up front where it has less of an impact. The popular no-nonsense Stan’s Flow rims make up the rest of wheel, giving you a reliable yet easily repairable set of non-proprietary wheels, hitting 29mm internal width for proper tyre support too. The alloy RaceFace cranks and cockpit finish the rest of this well thought out build. Oddly the first thing I noticed about the Rocky Instinct BC Edition when I threw a leg over, was how it didn’t feel like a 155mm 29er. The head tube is short, so the bars are lower than you’d expect. The stand over is also low and the suspension felt supportive even with my go-to 33 percent sag. It just felt like a regular trail bike. It didn’t have the big bike feel I was expecting. I find this a big advantage. As most trails start with a nice climb, I headed off and the surprises continued. The bike climbed like an animal, again thanks to the low head tube and subsequent low cockpit I was able to get up over the front, which in turn reduced that laid back floppy feel you often get with slack, long travel bikes. The suspension also aided the bikes mountain goat tenacity, with a super supportive feel, and next to no pedal feedback. 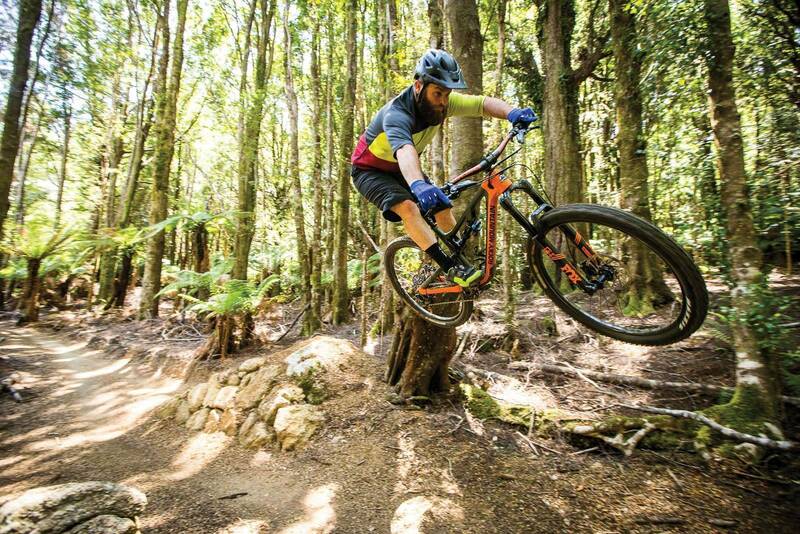 Combined with the extra grip you get from the super-sized contact patch that a 29er tyre provides, you no longer just jump off and assume the bike push position when anything remotely difficult gets in your way. Technical pinch climbs became a challenge to see just how capable the bike was. Although no one really reads a review of a long-legged “BC” Edition bike to hear how well the bike goes up hill. It’s still important, but I was curious to see how the bike descended. I have spent a fair amount of time on an older model Rocky Mountain Altitude and loved how capable it was when things turned nasty. Add in an extra 5mm of travel and better roll over with the bigger 29er wheels and needless to say I expected a lot, but the Instinct BC Edition just isn’t the same bike as the Altitude. Putting in a slightly different link to get extra travel and slight geometry tweaks for the BC Edition has not really changed the bike as much as you would expect as the swing arm kinematics have stayed roughly the same. That’s not to say it was incapable, it definitely descended well and with confidence. It just lacked the plush bottomless feel of an Enduro racer. The Instinct BC edition really excels in tight techy undulating flow trail and accelerates well up every little pinch and that all helps you maintain speed on those flatter and more undulating trails where the plusher more descendy bikes bog down and lose speed. 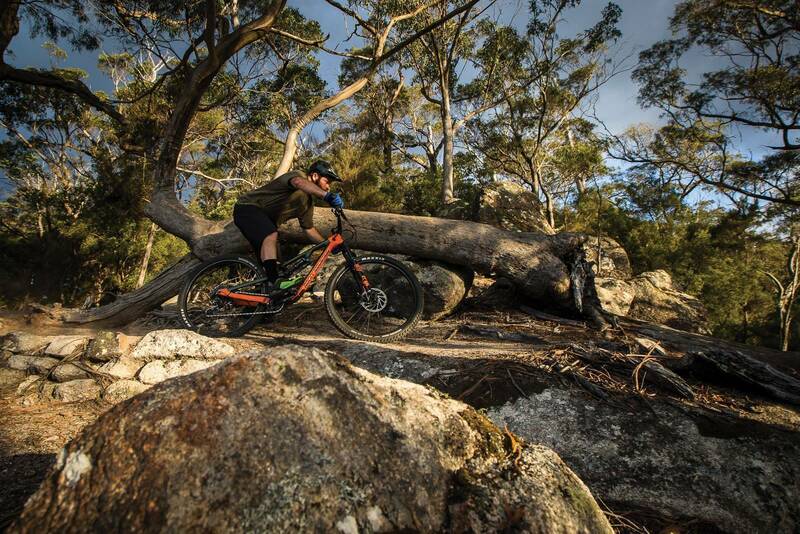 Given most of our trails in Australia don’t point straight down – this is a good thing. Then if things do get a little out of hand your covered, especially with the 160mm Fox 36 up front. 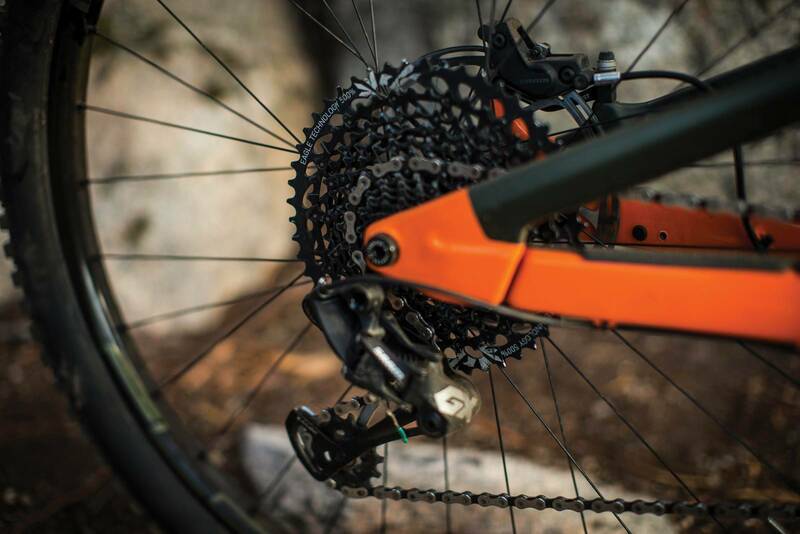 The GX Eagle drivetrain is pretty revolutionary even though it’s the entry level 12-speed option from SRAM. The range significantly aided the Instinct BC Edition’s climbing ability. With the absence of a front mech and therefore more room than ever for frame designers to get creative, it helps make bikes like the Instinct BC Edition possible. 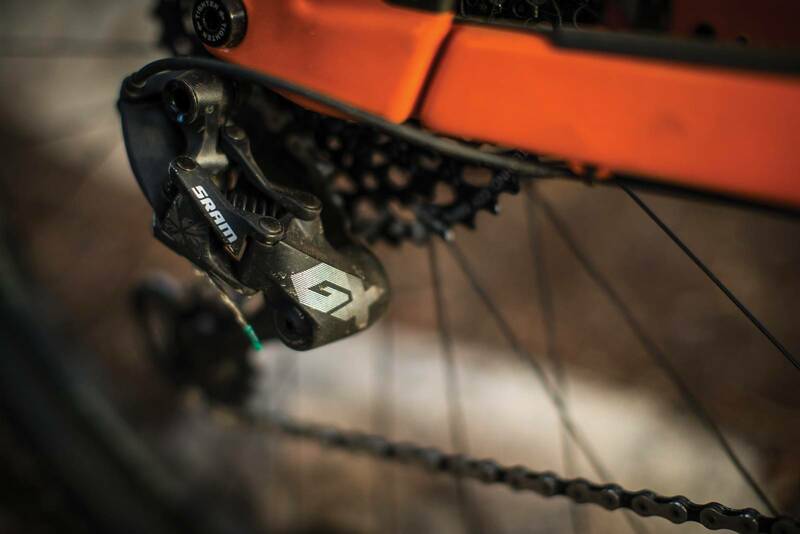 Along with the SRAM Code R brake upgrade, the BC Edition sees a rear shock upgrade to the Fox Float DPX2, and I could imagine with a custom tune or even a further upgrade to the Float X2, the Instinct BC edition could become more capable on the fast descents. While not really what I expected after reading the numbers on the Rocky Mountain Instinct BC Edition, the bike did continually surprise me. 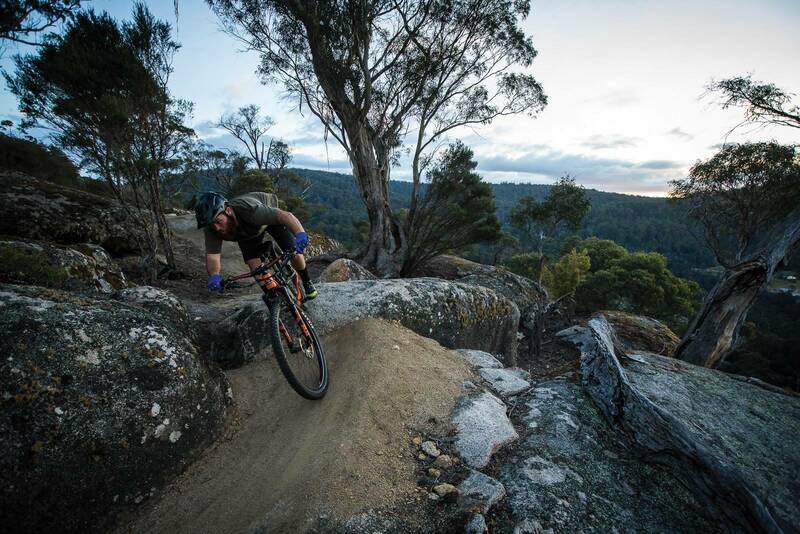 No… it’s probably not going to be the choice for global EWS races, however it would easily handle the Australian Enduro races and most Australian trails exceptionally well. I like to think of the Instinct BC as a long travel back country beast, it’s the sort of bike I would take if I knew nothing about what I was riding. It has the ability to get you out of most technical situations, as well as the legs to keep you going all day. We all know a bike is a bit of a balancing act. 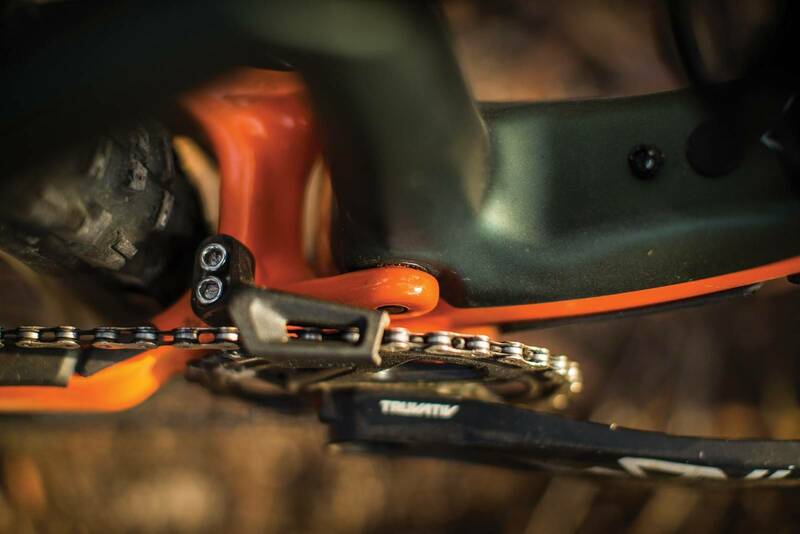 Lose a bit of pedal efficiency here to gain that descending prowess there, that sort of thing. Even though the Rocky Mountain Instinct BC Edition goes a long way to give you both, there’s not really a magic ticket. I haven’t ridden the standard Instinct, but given a choice on paper I would go for the BC Edition every time. The longer travel fork along with all the little extras you get build wise just make it all the more grin inducing. The excess is trimmed off in just the right places leaving you with everything you need and nothing you don’t. 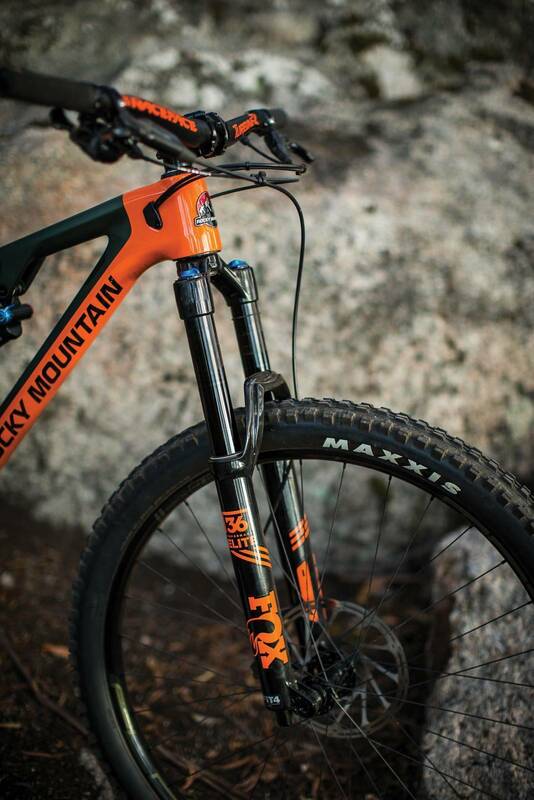 The Rocky Mountain Instict BC is probably the type of long travel 29er that the majority of people looking for hard-hitting bikes should be on.